•	Take a look back and celebrate the great players, accomplishments and special memories of one of the most important franchises in hockey history! 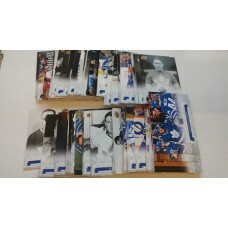 •	Find Autographs and relics from great players like Doug Gilmour, Wendel Clark, Darryl Sittler & current Maple Leafs Players! •	TIN EXCLUSIVE: Get one (3 ¼ ’’ x 8 ½ ’’) Mini Championship Banner! 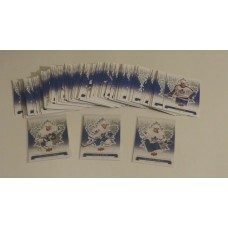 •	Collect the 200-card base set featuring Maple Leafs alumni and current rising stars! 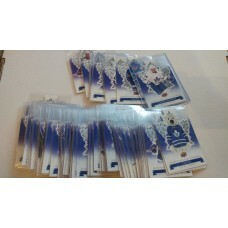 •	Autograph and Relic Cards! Use the drop menu t..
2017-18 UD Upper Deck TML..